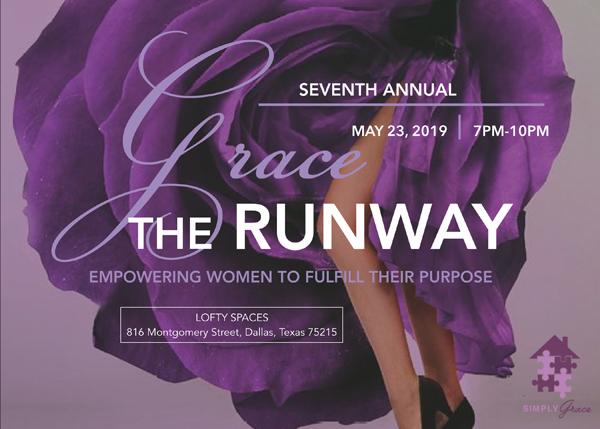 On May 23, 2019 Simply Grace will be hosting a fashion show, Grace the Runway, at Lofty Spaces in Dallas, Tx. The goal is to raise money for the ongoing operation and future growth at Simply Grace, as well as additional programming in 2019. Don’t miss the event that will inspire, educate, and empower more lives to recover from the disease of addiction. Simply Grace exists to provide a safe, structured environment to assist women recovering from substance abuse, help to rebuild their lives and achieve long term recovery.